Good. Light wear to boards. Content is clean with light toning to pages. Good DJ with light toning and creasing. Good. Jacket is clean and complete but has some creasing to edges. Contents are clean and bright throughout. A few pages are dog eared. Free from markings or inscriptions. Spine is slightly loose. This review is based on the first 300 pages of this book because I don't think I can take much more of it. So far there are no interesting aspects to this criminal mind. I find following Gary Gilmore's minute by minute lack of judgment and poor impulse control to be extremely tedious and boring. I do not see how this book won the Pulitzer prize. I am just not seeing any literary merit to the work. 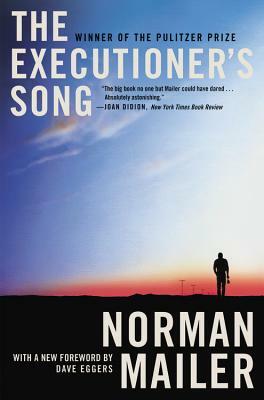 Like In Cold Blood, this book is a nonfiction novel following the imprisonment and death of Gary Gilmore, a "cold-blooded" murderer. Though the validity of this book has been questioned, it is still a very interesting tale of murder and its effects on society. Admittedly, the views are a bit skewed towards Gilmore, and there are some very lurid details (descriptively sexual, mainly), but all in all, if you can get through it, this book is a good read.